Astute readers of this blog will recall that a couple of years ago, I reviewed an album by Will Weston called Heart of the Order. It was and has remained one that I enjoy listening to and reminded me that while the music being churned out by the commercial behemoth that is the music industry is cause for losing hope, there is still a lot of great independent music being made...you just need to dig a little to find it. 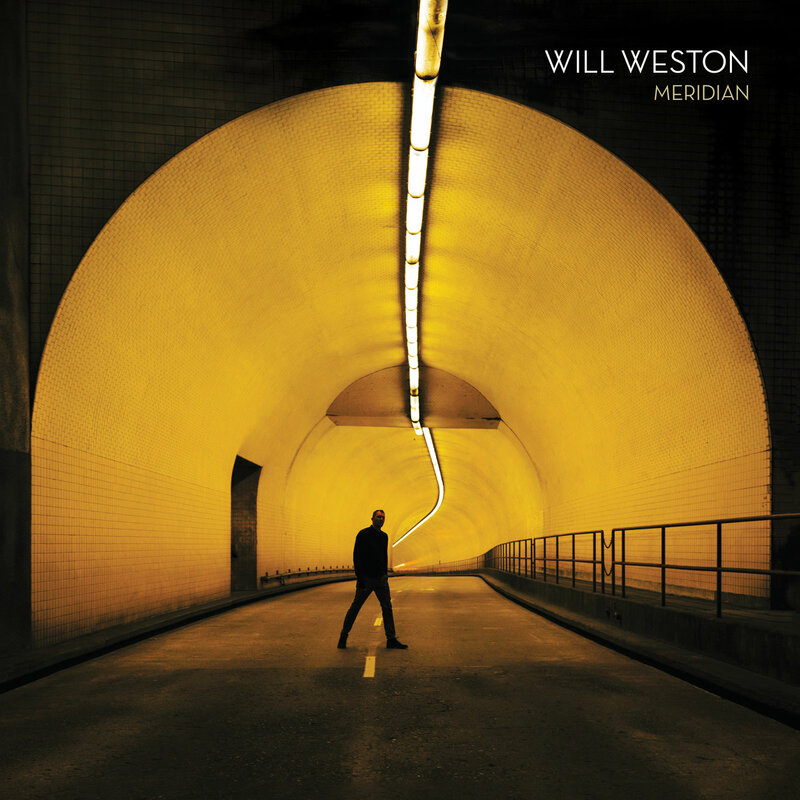 After a couple of years, Will Weston and his band are back with their latest effort, Meridian. "Sometimes it's simply in the blood. Despite a detached upbringing in the tropics of Hawaii, Will Weston's adherence to music runs deeper, the son of two accomplished touring and session musicians and grandson of 1950's Hollywood icons Jo Stafford & Paul Weston. 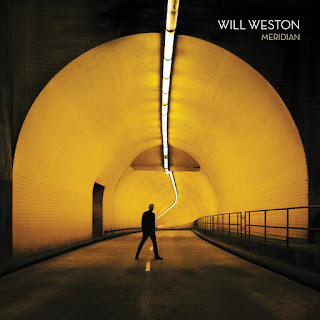 Now ten years relocated to San Francisco, Weston's independent releases have refined a composite style of equally funky & soul driven rock songs, with a truest affection for melody. A lengthy residency at SF's iconic Boom Boom Room in 2015 forged both a loyal support base and core group of players behind him, earning Weston a seat at the table backed by session musicians responsible for some of the top recordings to emerge from the Bay Area. Teaming with East Bay funk-addict Nino Moschella at his own Bird & Egg Studios in 2016, Weston locked in ten ambitious new tracks due out this fall, comprising his third full-length, Meridian." Below is my track-by-track review of Meridian. The album starts off with computer processed drums before the melody comes in with a relaxed and lazy (in a good way!) groove. That groove is really insistent and there are some tasty guitar licks throughout. Lovely vocal harmonies on the choruses, too. A slightly understated but no less effective opener and we're off to a good start. A fast picked guitar riff opens the song before the drums playing a stomping four on the floor beat and the horns come in. This sounds very 1970s jazzy/funky. There are nice falsetto vocals in the chorus which remind me of mid-1970s funk. In fact, the song sounds like cross between Steely Dan and Sly and the Family Stone (and that's a good thing). There's a great tone on the guitar solo...gotta love those creamy Strat tones. Great bass propels the song during the outro and the horns are just so tight. I love the falsetto "whooo hooos" during the end...a very nice touch. It starts off with some fuzzed out guitar and organ and a syncopated tempo that lays down sparsely behind the vocals. It sort of reminds me of latter day Black Crowes in tone and overall feel. The fuzzed out horns sound really cool and help this cut stand out. A change of gears, this time to a quieter ballad. It reminds me of The Police a little with the arpeggiated chords. It gets really pretty when the strings come in during the chorus. The cello playing a countermelody behind the vocal melody is very effective and moving. This is one of my favorite songs on the entire album. There's a brief countdown of "3, 4!" and the song starts. The bass and guitar sounds great as the drums and strings propel the song forward. Will does some great singing here. It has a really great late 1970s/early 1980s pop/rock sound and feel. The chorus really soars with the vocal harmonies and the sweeping strings. The song gets even better with a great saxophone solo where the band really lets loose for a bit. The saxophone continues to lead the way as it fades away in echo as the song comes to an abrupt end. Radio chatter from what sounds like a NASA flight introduce "Set a Course" before some choppy guitar chords and syncopated interlocking bass and drums come in. The synthesizer swirls echo the vocal melody after the verses and the string swells sound a bit eerie and quite evocative. This is a slightly slower paced song with beautiful acoustic guitar textures and percussion. The vocals are breezy and the melodies and harmonies are very pleasant. Another softer tune, but again it's one of the best cuts on the entire album. There is some aching, echoey guitar in this quiet ballad that fits perfectly in with the sound and feel of the track. Very, very beautiful. This song opens up with a slightly funky bass line accompanied by dreamy guitar and organ. It sounds like what a 1980s pop song backing sounds like played with real instruments (which is a very good thing!). It reminds me a bit of XTC in terms of sound and feel during the chorus. Weston's vocals even sound a bit like Andy Partridge, who is someone anyone would be proud to be compared to. The instrumental bridge has a gorgeous organ backing while some tasty guitar licks lay on top. The vocals toward the end of the bridge are call and response and heighten the tension. Hands down, this is my favorite song on the album. It quietly fades in and mainly contains a dialogue sample (which is where the title comes from). A mournful organ backing accompanies the voices throughout. A bit out of left field, but a very moving piece and a haunting end to the album. Meridian has a much different feel and sound from Heart of the Order, but it still sounds unmistakably like Will Weston. It's a more somber, slightly darker sound than its predecessor and has more of a slow-burning intensity to it. Please make no mistake, though, that these are not bad things at all! Rather, Meridian has a different feel and vibe to it than Weston's previous effort, but it's no less of a strong, cohesive album. While it doesn't have the immediate earworms that the prior album has, repeated listening reveals a lot of great melodies and textures that stay stuck in your head for hours afterward. This is definitely an album that rewards repeat listens. If you like the samples you heard above, you can buy Meridian here, and if you like what you hear then go see Will and his band if they're playing near you! As always, I urge you to please support independent music and musicians by purchasing their music, going to see them live, and spreading the word. The artists (and your ears) will appreciate it!